The United States talks to North Korea but seeks Saudi war on Iran. Prince Mohammed bin Salman Al Saud, Crown Prince of the Kingdom of Saudi Arabia, March 2018. Albin Lohr-Jones/Press Association. All rights reserved.Even under one of the most rhetorically aggressive leaderships that it has ever had, the United States maintains a rational approach in dealing with nuclear North Korea. Its plans for a meeting between the two heads of state, reflected in the unnanounced visit to Pyongyang of Mike Pompeo, former CIA director and nominee as US secrectary of state, attests to Washington's intent to scale back confrontation. Yet at the same time President Trump’s administration displays a worrying recklessness in stoking a potential confrontation with Iran, playing against and manipulating Saudi fears. North Korea's "rocket man", as Trump dubbed Kim Jong-un in his speech at the United Nations in September 2017, is by most measures more dangerous than the Iranian leadership. Without downplaying the perils of Iran’s ideological drive and expansive regional foreign policy, Tehran’s politics are guided by national interest and rational calculations that are not exclusively led by ideology. Why then does the US avoid investing effort and diplomacy to save the already devastated Middle East from yet another threatening war, this time between Saudi Arabia and Israel on the one side and Iran on the other? Instead, Trump is actually paving the way for such a confrontation with his plans to revoke the nuclear agreement that his predecessor Barack Obama managed to conclude with the Iranians. Why should this be? The reasons include the US's interest in maintaining lucrative arms deals with the Gulf states, primarily Saudi Arabia, and many US leaders' support for bombing Iran (as demanded by the right-wing Israeli leadership). With regards to the first, Trump has never hidden his intentions to milk the Saudis to the max. In his televised meeting with the Saudi crown prince Mohamed bin Salman (MBS), Trump voiced the hope that in 2018-19 alone the value of arms deals with the Saudis will exceed $700 billion. Continuing to inflame Saudi fears towards Iran is the best guarantee of those current and future deals. Any diplomatic track that might offset such fears would be far less profitable. With regards to the second reason, Saudi Arabia is already implicated in a futile war in Yemen that after more than two years seems far from being resolved. Ironically, that war was named by the Saudis "the battle of decisiveness" and was planned to last only the few weeks it would take to finish off the Iranian-supported Houthi rebels. Instead, the Saudis are bleeding financially and politically, and facing mounting international criticism as a result of the war's effects: enormous Yemeni casualties, the hunger of millions of civilians, and the spread of disease. If this would-be "short campaign" has proved beyond Saudi capabilities, why might they consider that a fully-fledged regional war against Iran could ever be winnable? Such a war, even with the help of Israel, would lead to more protracted, costly and bloody confrontations for all involved. The Americans, recognising Saudi military inadequacy even with all the imported weapons, are well aware of this. Yet in their own interest they refrain from frankness with their wealthy ally. Honest advice to the Saudis would be to seek a "grand political deal" with Iran. This American dishonesty exploits the political impulsiveness of the young and inexperienced Saudi crown prince. MBS's public-relations advisors, themselves mostly Americans, seem to have given him some "Politics 101" that look trivial when examined. One of the crown prince's fondly repeated lessons is the parallel between the western appeasement of Hitler on the eve of the second world war and the west's non-confrontational approach towards Iran that culminated in the Obama-era nuclear deal. 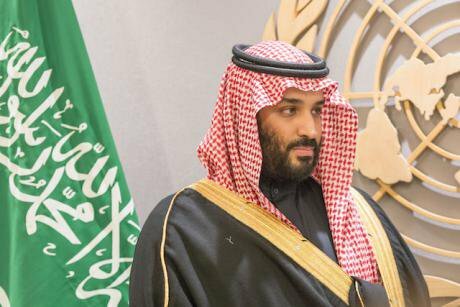 One of the crown prince's fondly repeated lessons is the parallel between the western appeasement of Hitler on the eve of the second world war and the west's non-confrontational approach towards Iran that culminated in the Obama-era nuclear deal. This analogy is desperate to make the point that unless an actual confrontational line is adopted against Iran, the region will witness Iranian invasion and expansion into the Middle East. The reference is to the notorious Munich agreement in September 1938, when British and French leaders in effect gave Hitler the right to continue invading Germany's neighbours. Historians differ on the question whether Nazi ambitions could have been stopped without that pact, and thus the course of events leading to war in 1939 halted. In any case, the comparison with today’s Iran is naïve on many levels. The German grievances that lingered from the Versailles treaty in 1919 that fostered the rise of Hitler are absent with regard to Iran. The aggressive Nazi war strategy was led and popularised by its intent to restore the German lands that, after the empire's fall, had been seized and given to neighbouring countries. By contrast, current Iranian aggressive regional policies are driven by nervousness and the regime's lack of solid internal political support. In addition, the genocidal plans that Hitler had in mind and then implemented against the Jews have no equivalent against any other group whatsoever in the mindset of the Iranian leadership. Those who planted this analogy in MBS’s mind knew that such a portrayal appeases Israel and cements a shared war discourse between the Saudis and their unlikely Jewish ally. What would a war between a Saudi-Israeli alliance against Iran, backed by the US, look like? It would, in short, mean Armageddon to the entire region. Iran’s military and supporting groups in surrounding countries would be able to inflict great damage against adversary countries. Iranian missile capabilities would not be entirely destroyed in any massive first strike. Surviving missiles would reach, in addition to Israeli cities, major Gulf cities implicated in such a war, such as Riyadh, Abu Dhabi, Dubai, Manama and even the American military base in Qatar. The vulnerable Gulf cities that have flourished on commerce and extravagant attractions would be soft targets. If part of Saddam Hussein’s badly weakened capabilities in 1991 remained operational and managed to hit Israeli and Saudi cities, Iranian steadfastness and capability to retaliate are likely to be even more robust. Moreover, the unleashing of Shi'a militias across the region would make ISIS violence look minimal. Hizbollah in Lebanon would most likely engage directly in war against Israel, this time endangering the very existence of Lebanon as a country. Hamas in Gaza could equally be prompted to open another front, endangering the already devastated Gaza strip. Syria and even Iraq would inevitably become embroiled battlefields, causing further calamities. The economies of the Gulf countries would be extremely damaged, the oil supplies drastically hit, and oil prices sent rocketing. How Turkey would behave in northern Syria amid such chaos, and what form of engagement it would pursue, is an open question. If such a war went on for a longer time, which is not unlikely, it is hard either to imagine or project the magnitude and directions of massive waves of refugees and displaced people. Another scary dimension to such a war is the position of Russia. Judging by the worsening relations between the west and Russia, it is not far-fetched to predict Russian support of the Iranians, driven by Kremlin hostility to western policies and by the desire to maintain a strong Russian influence in the region. In terms of Israel’s position and perceptions, Israeli propaganda against Iran portrays Tehran’s mullahs as a bunch of fanatics that pose an existential threat to the Jewish state. This is simply hollow and baseless. Rhetoric aside, Iran’s official declared line towards the Israeli-Palestinian conflict is to accept what the Palestinians would ultimately accept. A just conclusion of the Palestinian cause would neutralise Iran’s purported threat. Ignoring Palestine and blindly supporting Israel, as the current American administration does, feeds into Iran’s belligerent attitudes, as well as radicalises a public environment receptive to what Iran stands for. The Yemeni war should have given the Saudis the harshest of lessons, one repeatedly taught by history: you can decide when to start a war but you can’t control when to end it. A war against Iran is a lose-lose deal with unimaginable consequences. If a fraction of the effort and resources that would be consumed in such a war had been invested in diplomacy, a peaceful grand deal with Iran that spread across the region could have been achieved. If the US can talk to North Korea and try to save that region from the dangers and devastation of nuclear war, why shouldn’t it do the same in the Middle East?